Investment analyst group Lazard Capital Markets put Pandaria retail sales at 600-700,000 since launch. Mists of Pandaria, the World of Warcraft expansion based on an April Fool's joke, may prove to be an expensive indulgence for Blizzard according to figures released by market analysts Lazard Capital Markets. Lazard estimates that Pandaria moved only 600-700,000 retail units since launch. 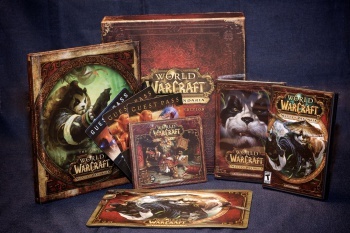 As a comparison, World of Warcraft: Cataclysm sold more than 3.3 million copies in the first 24 hours after launch. There is a significant hole in the Lazard estimates, as they don't include digital sales. Things have changed considerably in the digital space since 2010, and digital is bound to be a larger proportion of overall Pandaria sales than they would have been for Cataclysm. That said, to make up this kind of shortfall - over 2.5 million units difference between the expansions, assuming the 700,000 Pandaria figure is correct - digital would have to have become the primary means of selling product. Digital is certainly important; a 57% increase in digital sales was responsible for Blizzard's profits bump in the third quarter 2011. But if, for the sake of discussion, digital sales brought Pandaria to exactly the same sales level as Cataclysm, then retail would be just a little over 21% of total sales. Even given the growth of digital since 2010, that result doesn't seem likely. The analysis comes courtesy of Atul Bagga of Lazard, whose track record is pretty solid, particularly on Blizzard news. Bagga's report follows on a recent analysis suggesting that Blizzard's excessive reliance on World of Warcraft as a revenue generator threatens the company as a whole. It probably doesn't help that the MMO has been losing subscribers at a rapid rate; it had less than 10 million as of August 2012 and, given Bagga's report, there's no reason to think Pandaria tempted a significant proportion of those missing subscribers back.